Apple and Google have been battling head-to-head for smartphone supremacy for quite some time now but it looks like Cupertino recently came out on top, at least for the time being. According to a new report from Kantar Worldpanel ComTech, the California-based company is now responsible for 53.3 percent of the US smartphone market. 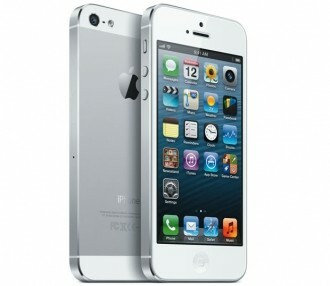 The smartphone sales tracking firm said strong sales of the new iPhone 5 led to Apple’s most recent success. They looked at 12 weeks’ worth of data ending November 25 to reach their conclusion. For comparison, Apple held 35.8 percent of the smartphone share during the same time last year. Perhaps more interesting, however, is the fact that Android’s US market share dropped to 49.1 percent. Google’s mobile operating system held 51.8 percent of the US market in 2011. Kantar global consumer insight director Dominic Sunnebo said Apple reached a major milestone in the US by passing the 50 percent mark for the first time. He expects further gains to be made once December’s data is in thanks to the lucrative holiday buying season. Things didn’t go so well for Cupertino in Europe where, during the same 12 week period, Samsung dominated the smartphone landscape with a 44.3 percent share. Apple finished second with a not-even-close 25.3 percent share while HTC, Nokia and Sony were left to fight for the third position. When looking at the complete picture, Android-based handsets held a commanding 61 percent market share across Europe's top countries, an increase of 10 percent over last year.